Then look no further than Tyne Tees Locks – the Number One Auto Locksmith in Newcastle and throughout the Northeast. Ultimately, we help you get back into your car and on the road as soon as possible! It really is that simple! The car key is jammed or broken in the lock and is now not doing anything useful at all…. …then now is the time to call for an auto locksmith! 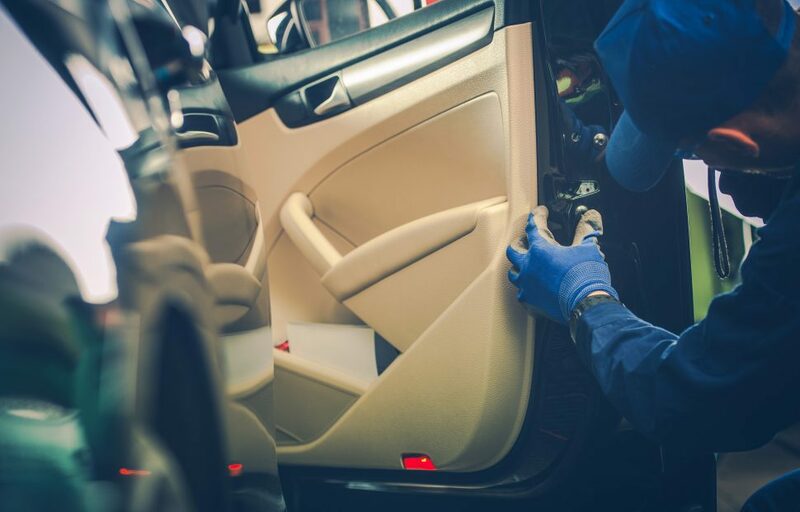 At Tyne Tees Locks we have the expertise, the auto locksmith specialists, and the up-to-date technology to help with any car emergency or situation that you might find yourself in. Avoid the stress, the hassle, and the cost and call Tyne Tees Locks today. What’s more, all our engineers are fully qualified, and, in an emergency, we aim to be with you within 30 minutes – and we’ve never let a customer down yet! If you’re looking for a new set of car keys, we’re able to offer solutions as well as provide possible car locks/keys which would be suitable. At Tyne Tees Locks, we’re no stranger to the multiple auto locking problems that customers come across, which also means that we’re no stranger to fixing these problems! So, before you take drastic action call us today on 0191 438 6595 and we’ll be able to let you know over the phone, how long we will take to get to you (we’ll never keep you waiting too long) as well as an estimated cost, so you won’t receive any hidden surprises. Available 24/7 there isn’t a vehicle type that we don’t know. Our aim is to get you back on the road and into your vehicle as soon as possible, so we always aim to guarantee a quick and efficient service. With all the new technology now available, snapping keys in car locks is fast becoming a thing of the past, but it does and can still happen. The first thing to do is not panic, yes, it’s easy for us to say as you have your belongings locked inside, or you need to be somewhere quick, but trust us, taking drastic and hasty action only leads to a bigger expense for you in the end. As emergency locksmiths, we’re on hand 24-hours a day, 7 days a week, available to deal with any broken or snapped key emergency. We have the tools and the knowledge to be able to extract keys that have been broken in the car lock, without causing any further damage to the lock and the key – beyond what is necessary to fix the problem. In most cases, we can unjam locks quickly and without too much stress to make sure you get access to your car asap. We can then start to look at key cutting to make sure you can still drive your vehicle and make sure your car can still be properly locked and secured. Losing your keys can be a nightmare and we’ve all done it! That’s why there are so many electronic companies making key fobs that beep the closer you get to your actual keys! But sometimes even the best of gadgets don’t bring up any results and you know your keys are lost. Or worse still they’ve been stolen. Again, don’t panic, as Tyne Tees Locks have years of experience to help you and to put your mind at rest. We offer a full key cutting service (great also if you’re thinking about having a second key as a “just in case” set) and what’s more, you don’t have to worry about having the key with you for us to cut. We can access our databases and cut and programme a new set of keys for you wherever you might be. To help put your mind at ease, we can also access your car’s immobiliser system, so can edit or delete old keys that have been lost or stolen – so you really don’t have to worry about someone being able to access your vehicle. We carry out all this work wherever you are and have called us from, and we test out the new keys there and then, so we never leave you stranded. Replacing lost and stolen keys used to be something only your car dealership could do, but not anymore. We’re also much quicker as we have the technology available to not keep you waiting, and we’re also cheaper on price – it really is a win, win! We really do understand what it feels like to be standing outside your car, looking in at your car keys sitting on the car seat. And, after a few, probably choice words to yourself, and once you gather your thoughts, Tyne Tees Lock is your first thought when it comes to “finding an auto locksmith near me”. With a customer service aim to be with you within 30 minutes in an emergency, we’re always on hand to provide you with perfect roadside assistance. Yes, this does sound extremely technical but ultimately it is your car key fob. Most new cars are now operated with a key fob rather than a key which means when something goes wrong with these gadgets, you need someone who really knows their stuff and has the right tools to help! Luckily, all our locksmiths are trained to deal with any problems with key fobs and have the tools to diagnose the problem, edit or repair them. Again, due to the advances in technology, this is a service we are happy to offer at your location, making us fast, efficient and effective. So, whether you need help in gaining access into your vehicle or you need us to help you replace lost or stolen keys, call us on 0191 438 6595 and one of our friendly, fully certified and vetted locksmiths can be with you in no time! Our approach is to help solve the problem in a non-destructive way. Based in Newcastle but operating all over the Northeast our aim is to get you back on the road in no time. Plus, with our emergency contact service, you can rest assured we’re always on hand to help, guaranteed to reach you within 30 minutes!